The Starbucks store in East Norriton, Montgomery County. 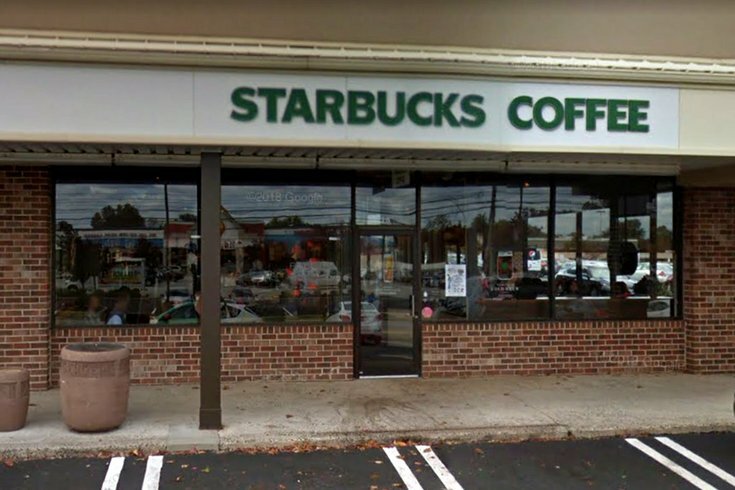 A woman who reported that a man was taking photos of her daughter Tuesday at a Montgomery County Starbucks said an employee told her the store could not ask the man to leave. The woman, who did not want to be identified, told NBC10 that the employee at the coffee shop in East Norriton Township allegedly said the man had "been here all week doing this but we can’t ask him to leave." The employee may have been referring to Starbucks' new "Third Place Policy," which encourages employees to allow people to "gather" and "connect," but also lays out guidelines for how customers should behave. The new policy was adopted during Starbucks' damage control tour in response to an incident in a Center City Philadelphia Starbucks involving the arrests of two black men who sat inside the store waiting for a friend without ordering anything. "Any customer is welcome to use Starbucks spaces, including our restrooms, cafes and patios, regardless of whether they make a purchase," the new policy reads. A Starbucks spokesperson told PhillyVoice the woman spoke to a member of the company's leadership team on Wednesday, who apologized and "clarified" the details of the new policy. “In an instance where a customer is uncomfortable, our partner has every right … to address it immediately with that customer," the spokesperson said. The details of the incident are still being investigated by the company. The East Norriton Township Police Department has identified the man and are also investigating. "Many of us in the police department are parents as well and can understand how this incident could make us feel vulnerable," the department said in a statement. "Our department is committed to protecting the people who live and visit East Norriton Township, especially our children."